Dr. Clemens Esche is a board-certified dermatologist who graduated from The Johns Hopkins dermatology program and held assistant professor appointments at the University of Pittsburgh, the Mayo Clinic and at The Johns Hopkins University. Dr. Esche founded The Beautiful Skin Institute PLLC in Herndon, VA, in 2016. He has received more than 10 academic awards for his pioneering research and has authored more than 70 publications. He was recognized with the Patient’s Choice Award in 2013 and became the National Winner of the Doctor’s Choice Award in 2014 and again in 2015.Dr. Esche treats adult, pediatric and cosmetic patients and specializes in minimally invasive cosmetic procedures with little to zero downtime. Dr.Simal Soin is a respected name in the field of Aesthetics and Cosmetic Dermatology in India and has a large patient following from across the globe. With extensive training at London and Cambridge University for many years, Dr Soin has been an expert in the field for over 15 years. She has a large team of very bright and experienced doctors and therapists who work with her. She is recognized as one of the key opinion leaders in Cosmetic Dermatology by clients, colleagues and media alike. 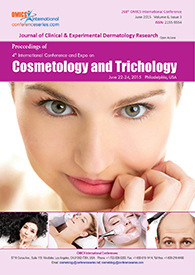 She has made a tremendous difference in the way cosmetic dermatology and aesthetic medicine is practiced in India by aligning it with good medicine and thereby differentiating it from the field of cosmetology. Terri holds a Bachelor of Science (Immunology & Microbiology), a post-graduate Diploma of Formulating Chemistry, and a Diploma of Education (Biology & Senior Science). After detecting a need in the aesthetics market for scientifically effective and ethical skincare, Terri launched her own skin clinic in Melbourne. As the founder and formulator of Synergie Skin, Terri Vinson creates safe, active cosmeceuticals and functional mineral makeup whilst providing specialist knowledge for the informed customer. In accordance with her ‘Clean Science’ philosophy, she is dedicated to designing products that protect, change, and nurture the long-term health of the skin. Stef Stienstra is a strategic and creative development manager in biomedical science with parallel career in science journalism, which has resulted in an extensive international network and lots of valuable pharmaceutical and biotech information. Extensive practical experience in microbiology, immunology and blood transfusion. Due to natural business acumen and negotiation competence a successful starter of new businesses. Ability to create unexpected but fruitful matches between unrelated businesses. Stimulating personality, who helps co-workers to excel. Competence is not limited to biomedical science only. Military specialist on chem- and bioterrorism. Internationally successful in consulting at top-level management, due to good understanding of science combined with excellent skills in communication with non-specialists. Skilled in writing reports under time stress.He Performed pioneering work in biomedical research, established dedicated research and quality control research environments. The first in the world to use flow-cytometry in blood bank routine quality control (1989).Pioneer in gene-vaccination, Validated new diagnostics and prototypes of clinical analysers.Organiser of scientific meetings and gives frequent scientific presentations,Lecturer for the Dutch Police Academy for chem- and bio-terrorism scenarios. Dermatology, Military medicine and in CBRNe science & Consequence Management. Takashiro AKITSU, PhD is a full Professor for the Department of Chemistry, Faculty of Science Division II at Tokyo University of Science. He completed his under graduate school training (chemistry) from Osaka University, Japan and his graduate school training (physical & inorganic chemistry, especially coordination, crystal and bioinorganic chemistry) from Osaka University, Japan. Dr. Akitsu has published up to about 150 articles in peer-reviewed journals and has had posters presented at international level. He has been a peer reviewer of many journals and acted an organizing committee of several international conferences. Amir Feily is dermatologist and researcher in Skin and Stem Cell research Center of Tehran University of Medical Sciences, Tehran and Department of Dermatology of Jahrom University of Medical Sciences, Jahrom, Iran. He is the member of editorial Board of Journal Dermatology Report, Journal of Pigmentary disorder , Aperito Journal of Dermatology , Journal of Drug Metabolism and Toxicology, International Journal of Dermatology Research and Therapy and Associated editor of Asian Journal of Dermatology. 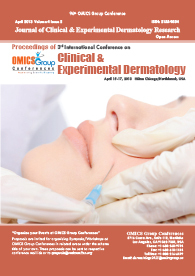 He is also the reviewer of many dermatologic journals such as British Journal of Dermatology (BJD), International Journal of Dermatology (IJD),Clinical Experimental dermatology(CED), Journal of European Academy of Dermatology (JEADV) and etc. 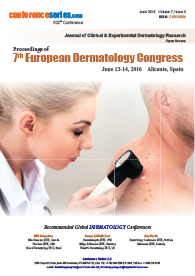 He has More than 85 high quality papers in Dermatology and Pharmacology. His recent two awards were 2013 Global Education Award, granted by International Society of Dermatology (IJD) and Imrich Sarkani Non-European Memorial award Granted By European Academy of Dermatology at 23rd EADV Congress Amsterdam, the Netherland 2014. Dr.Amir Feily also was awarded as the best young investigator in the country in all area of medical Sciences in the 22th Razi Research Festival in Iran, 2017. Razi Medical Sciences Research Festival was founded in 1995 after the name of the great Iranian physician, chemist, pharmacist, and philosopher, Razi who lived in the 9th century CE. 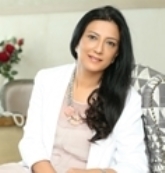 Dr. Fazeela Abbasi is a specialist dermatologist and originator and chief of DFA skin, hair and laser Institute. She is thought to be an expert on lasers and propelled stylish methods like fillers and botox. Subsequent to finishing her therapeutic school at Nishtar Medical College she continued seeking after her postgraduation capability in clinical dermatology from Saint Johns Institute of dermatology, Kings College London, the widely acclaimed's dermatology establishment. She finished her residency from Saint Thomas and Guys Hospital London. After that she joined MD dermatology and finished her doctorate in pharmaceutical enhancing her instructive vocation with the most prestigious capability in the field of dermatology. Ariel Beresniak is Medical Doctor specialized in Public Health, with a master's degree in Economics and a PhD in applied mathematics. He also hold an Accreditation to Supervise Research (HDR), the French highest academic diploma allowing to supervise PhD students. Ariel Beresniak was pioneer of developing methodologies in Outcome Research and Public health. He is author of several reference books in Public Health and Health Economics including book "Health Economics" (Elsevier Masson) published in French and Portugues, two dictionaries in Health Economics (Elsevier Masson= published in French and Spanish, and one dictionary of terms used in health industries (Flammarion Medicine Sciences) published in French. He is also coauthor of "Understanding Pharmacoeconomics" (John Libbey) published in French and "Pharmacoeconomics" (Elsevier Japan) published in Japanese. He has published more than 80 articles in peer review scientific journals mainly in the field of Outcome research, risk assessment and cost-effectiveness. Ariel Beresniak is Chief Executive Officer of Data Mining International, an independant research agency based in Geneva, Switzerland, specialized in advanced data analytics and value demonstration for innovation. Dr. Haffner has concluded his medicine study and his doctorate in Budapest, Hungary in 1979 and he became a specialised general surgeon in 1985. Since 2000 he opened his own outpatient private clinic for aesthetic-plastic surgery in Cologne, Germany. He has specialised in the cosmetic surgery of the face and the breast and of the intimate surgery. Dr. Haffner owns the Hungarian and German specialist\'s recognition of the surgery and vascular surgery. He passed the european examination cosmetic surgery and he is a board certified cosmetic surgeon of the International Board of Cosmetic Surgery in Cambridge, UK. Nooshin Bagherani is dermatologist and master of international law. She is independent researcher at Dr. Nooshin Bagherani’s office, Khoramshahr, Iran. She also is annual professor at Università DEGLI STUDI GUGLIELMO MARCONI, Rome, Italy. she is the founder and Editor of "The World's Greatest Dermatology Atlas". She is on editorial board of many journals such as Dermatologic Therapy, Global Dermatology, Journal of Procedural Dermatology, Journal of Clinical & Experimental Pathology, Cosmetology & Oro Facial Surgery, Oral Health Case Reports, Journal of Investigative Dermatology, Venereology and Cosmetology, Journal of Pharmacy and Pharmacology, OA Dermatology, Medical Sciences, and Health Sciences Research. Furthermore, she collaborates with many journals as reviewer such as Dermatologic Therapy, Global Dermatology, Journal of Pigmentary Disorders, International Journal of Clinical Medicine Research, International Journal of STD & AIDS, Pharmacologia, and Journal of Clinical & Experimental Pathology. 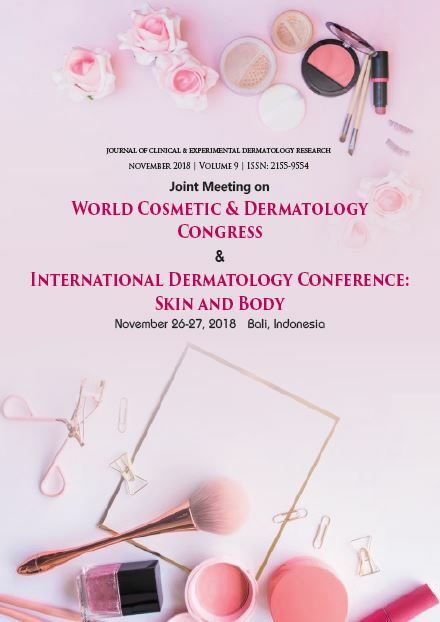 Currently with accompanying Prof. Bruce R Smoller, she is guest editor of special issue entitled “The history of novel dermatology and dermatopathology in different countries” related to the journal of “ Global Dermatology”. Dermatologist, Cosmetic, LASER & Hair Transplant SurgeonDr. M. Khawar Nazir is the CEO/Proprietor of Boston Aesthetics. He is American trained dermatologist. His main areas of interests are cosmetic dermatology, dermatosurgery, LASER & hair transplant surgery. He is also member of Pakistan Association of dermatologists (PAD) & Hair restoration society of Pakistan (HRSP). He regularly presents lectures in different international and national medical conferences. Professor Adam Ostrzenski, M.D., Ph.D., Dr. Hab. (post Ph.D. degree) is an internationally renowned gynecologic surgeon and a laureate of numerous national and international awards for his contribution to the advancement of women’s health and for developing new cosmetic/reconstructive operations for female genitalia. Sonhee Park has completed her PhD in Nutritional Biochemistry from The Ohio State University and Postdoctoral fellowhship at The Ohio State University. She is the Sr. Research Scientist of Shaklee Corporation. She has published 27 papers in refereed journals and book chapters. Bhargavi B Kola, MD, MPA is an Assistant Professor and Vice-Chairman for the department of Pediatrics at Texas Tech University Health Sciences Center. She completed her medical school training from Gandhi Medical College, India and her MD training from New York, USA. Dr.Kola has published up to 12 articles in peer-reviewed journals and has had posters presented at national and international level. She has been a peer reviewer and acted a judge for regional research competitions at University and State level. General Pediatrics with special interest in Asthma and Obesity. Arianna Di Stadio completed her surgery practice in France. She is specialized in Facial Plastic and Reconstructive Surgery, ENT, and Microsurgery. She is a clinical researcher, after she completed her PhD in Audiology and new technology in deafness. She has conducted different research protocols in the field of Head & neck Oncology and Neuroscience. She is a member of ANSM (National Security Agency of Medicines and Health Products), France.